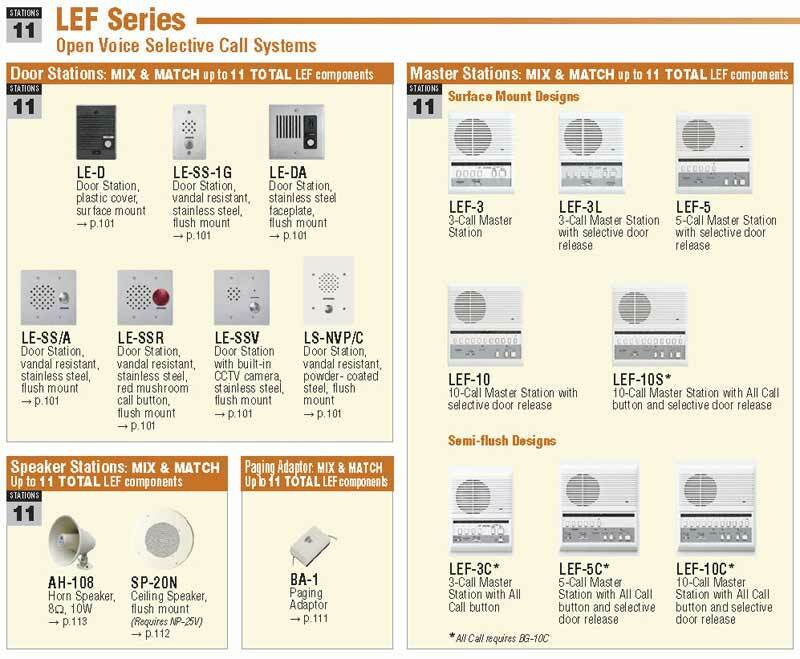 The LEF Series from Aiphone is designed to meet a wide variety of communication needs. 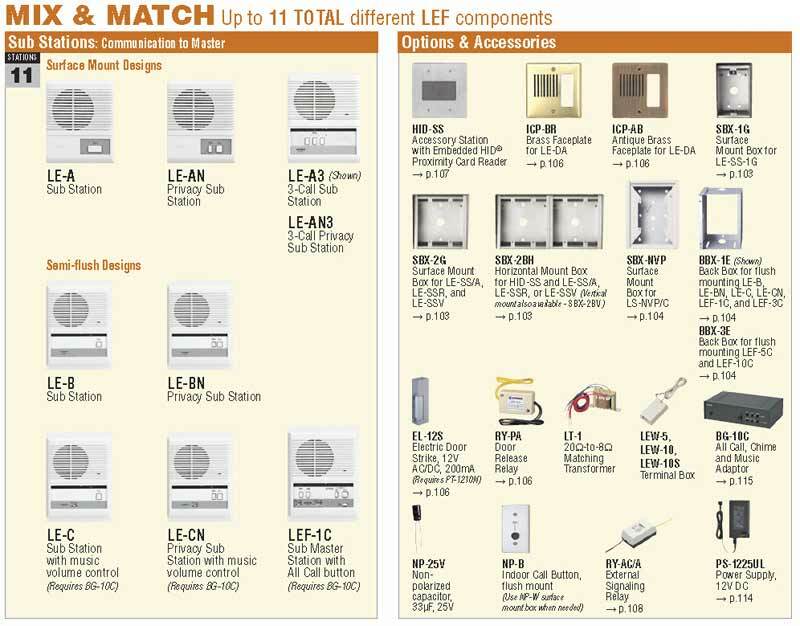 Any combination of master, sub, and door stations can be intermixed up to the system's capacity. This is an ideal system for gate/entry, repair shops, offices, courthouses, hotel/motels, retail stores and virtually any type of business. Click on a product below to view it.